Celebrate your love of running with the Hearts & Soles 5K. The flat, fast course provides a perfect opportunity for a personal best and a great option as your Peachtree qualifier. Compete as an individual or join one of our team competitions. 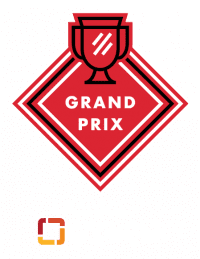 This event is the second event in the 2018 Grand Prix Series presented by Piedmont Healthcare. The Hearts & Soles 5K welcomes wheelchair athletes. If you are interested in the event as a wheelchair participant please email Lisa Tanner, [email protected]. Deadline to register and be timed: 7:30 a.m.
5K: 1 hour and 15 minutes (25 minute/mile pace). Any participant still on the course after the course limit will be asked to move to the sidewalk and will not have event services available. For the safety and enjoyment of all participants, no headphones, pets, or wheeled conveyances of any kind, including baby joggers/strollers, roller/inline skates, and bicycles, are permitted on the course. The wheelchair division includes open wheelchairs and a push/assist qualifier for the AJC Peachtree Road Race. Participants in this division will not be included in the team competition or Grand Prix scoring. If you are interested in the event as a wheelchair participant please email Lisa Tanner, [email protected]. Participants wishing to run with jog strollers may register for the competitive stroller division. For the safety of all participants, this opportunity is limited to participants who can run 9:00 minutes/mile or faster for a 5K. If you would like to push a stroller but anticipate running or walking at a pace slower than 9:00 you are invited to join non-competitive stroller divisions at future Atlanta Track Club events. If you would like to switch to a different division, it is your responsibility to notify [email protected] by February 9. Those switching divisions on race day are subject to disqualification. Participants in this division will not be included in the team competition or Grand Prix scoring. Free parking is available at the college and other surrounding lots. Atlanta Track Club signs and volunteers will help guide you to the available parking areas. Parking is limited so please consider carpooling. To join/create a team you will be prompted to type in the team name. Teams that are not full on race day will not be included in the team competition results. Overall awards are based on gun time and overall winners are not eligible for age group awards. Age grade and group awards are based on net time. Age Group Awards for the top three males and females in each 5 year age division (10 & under, 11- 4, 15-19, five year increments up to 90+). In-Love division - prizes awarded for top three overall teams (fastest cumulative time) and top three age graded teams (best age graded average). Based upon chip time. In-Competition division - prizes awarded for top three overall teams (fastest cumulative time) and top three age graded teams (best age graded average). Based upon chip time. 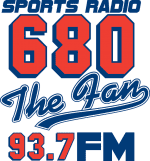 The Hearts & Soles 5K is the second event in the 2018 Atlanta Track Club Grand Prix Series presented by Piedmont Healthcare. For more information on the 2018 Grand Prix Series, please click here. Please note: Your age on December 31, 2018 is used as your base age for Grand Prix scoring. For example, if you are currently 34 years old but will be turning 35 in November, your age will appear as 35 in the standing throughout the Grand Prix season. Did you know as a member of Atlanta Track Club you receive a discount on all events (except AJC Peachtree Road Race). Join today to begin receiving discounts and the many other benefits of membership!